While commercialisation in Africa is not a new phenomenon as such, the contemporary forms it takes are in key aspects specific to the neoliberal period. Intensified commercialisation of non-/previously-less-commercialised sectors is key to the current (re-)production of capitalist societies. Many African countries have been reconfigured by three decades of neoliberal reform. This reform typically advanced the role and power of capital in not just the economy but also in society and culture more generally. That is, it promoted the expanded and deeper influence of capital (and markets) in the wider social order as part of the making and reproduction of capitalist societies in Africa. Intensified commercialisation of non- or previously-less-commercialised sectors is one of the key aspects of this process. Examples are plentiful, across the continent; they range from education and health to sports and arts. While commercialisation in Africa is not a new phenomenon as such, the contemporary forms it takes (configurations, models, visions, discourses etc.) are in important ways specific to the neoliberal period, and reflect among others shift in global economy, development policy, domestic politics, etc. 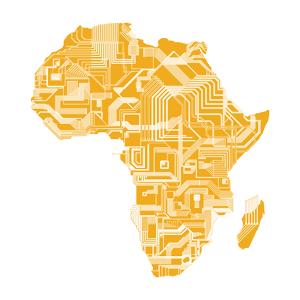 This panel seeks case study based analyses that shed light on the political-economic, socio-cultural and/or socio-psychological aspects of the current phase of commercialisation in Africa. It is interested in analyses of the following aspects, to name a few: scope, depth and forms; local embedding; actors that promote/broker/resist etc. ; role of foreign and/vs. local actors; dynamics concerning local support, legitimacy, criticism etc. ; links and interactions between global, national and local (cultural) political economy; political, political-economic, socio-cultural and -psychological dynamics/changes triggered by it (regarding interests, power, conflicts, discourses, social categories, desires, subjectivities, values, norms, moralities, practices, social reproduction, mobilities/connections/disruptions, inclusion/exclusion, futurities etc.). "Top up your health access": when Telcos offer health coverage to Sub-Saharan Africa.